How to make a perfect weight lift tracker? 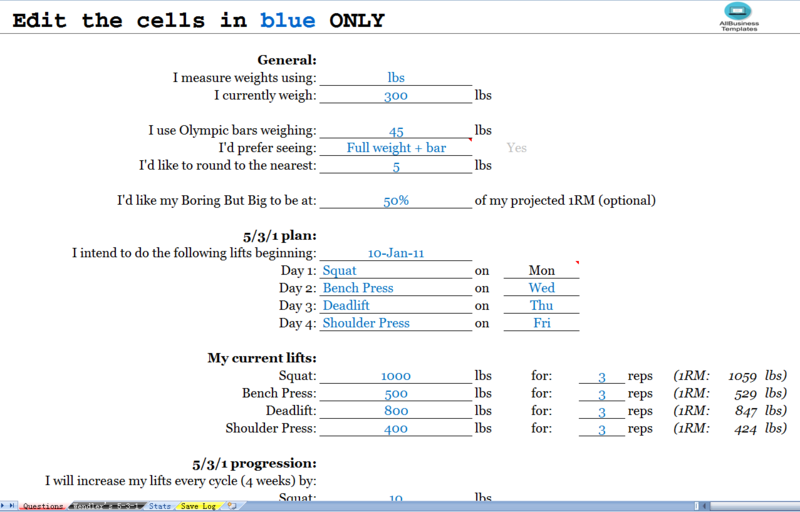 ?Download this weight lift tracker template now!! Pushing yourself as far as you can go and being able to lift more has never been so easy. The weight lift tracker helps you monitor your progress for each workout, and conveniently displays your monthly increases with a helpful graph. This will help you to visualize your hard work and inspire you to gradually increase your weight lifting. The template allows you to customize your unique weight and workout. Simply fill out the section highlighted in blue on the first tab, then scroll down to the bottom of the page to click on the “All done, take me to my schedule” button which will take you to your workout log located in the second tab. This will display a list of your previous cycles and how much weight you lifted before. The information you fill out on the first page will change the formatting of your daily weight lifting cycle, so you can choose pounds, kilograms, or any unit of measure. Finally, the “Stats” tab will keep you updated on a monthly basis, represented by a graph for each workout that you input. Why Use the Weight Lift Tracker? By monitoring the increase of your weight lifting, you can see factors that are contributing to your gains, and areas that may need more focus. This is the fastest and most effective way to increase the amount of weight you lift for your workout. After a few weeks, it’s hard to keep track of what areas need more focus, luckily the weight lift tracker is here to make life easy and get you on your way to your target goal.